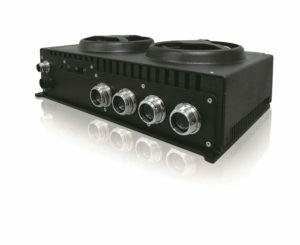 Kontron introduces autonomous connected technology that’s rugged enough to handle the field, and advanced enough to drive equipment. Technology is driving big change in industries—literally—with artificial intelligence (AI) and connected platforms making autonomous vehicles a reality. While the self-driving sedan that will transport your teen to basketball practice is about a decade down the road, the systems to make it happen are already here and in play in markets where the environment is more controlled and without highways and stoplight intersections. In fact, the acres of fields agricultural professionals manage are fertile ground for autonomous technology. Already, projects are in the works with agriculture partners who are proving that self-driving tractors and other implements improve productivity, safety and yields. in-vehicle for AI, Deep Leaning and HPEC by providing multiple GPU or Accelerator card options. “Autonomous technology is maturing very rapidly, and it’s here to stay,” says Val Scinteie, Transportation Business Development Manager at Kontron, a leader in the Internet of Things (IoT) and embedded computing technology (ECT). Kontron’s sweet spot is designing and implementing ruggedized computing systems— “embedded” technology inside defense all-terrain vehicles, planes, trains, manufacturing plants and really tough environments. The tech innovator combines ruggedized capabilities with advanced processing—super-smart guts sealed away so industries where environmental exposures are a given can use the technology. Agriculture is a natural fit for Kontron’s autonomous, connected platforms. “We have been involved in the agriculture industry for some time, providing rugged systems like gateways that collect data from a tractor or heavy machinery and connect to a back office or central data-receiving environment,” Scinteie says. Now, the evolution continues with AI and automation, and Kontron is steering its technology toward agricultural professionals. A passion for evolving technology into workable, business-minded solutions is at the core of Kontron’s development mission. Scinteie describes his own passion for technology, going back to his high school years when he was fascinated by the simple complexity of computing: basic concepts can accomplish amazing feats. Today’s AI and connected-device world is a prime example of how basic computing has taken on a whole different life. Now, technology has moved beyond connecting things and into autonomously operating things. “The venue for AI and deep learning is continuing this evolution into autonomous-anywhere capabilities,” Scinteie says. Already, agriculture has become smarter with automated processes that can improve yields and reduce waste, such as the data-collection tools Scinteie described. “Allowing the agricultural industry to automate existing equipment will help maximize their capacity and efficiency,” Scinteie says. Today, agriculture operations are taking advantage of wireless connectivity technology to synchronize workflow, and they’re using GPS mapping to carry out field-specific fertilization rates. The next level is giving tractors and equipment the smarts to drive themselves, and it’s already a reality, Scinteie says. In fall 2018, Kontron announced two breakthrough platforms to fast-track autonomous in-vehicle applications so developers of this technology can test and validate hardware and interfaces that would be used in high-performance autonomous in-vehicle systems. Kontron also rolled out a high-performance data logger to monitor in-vehicle information—another piece in advancing autonomous vehicles. “Autonomous connected technology is going to be part of the agricultural ecosystem more and more,” Scinteie says, adding that they are already fielding inquiries about retrofitting existing equipment that has drive-by wire capabilities with new, autonomous systems so they can gain the productivity benefit of self-driving machines. “Currently, you have to switch out some components and put in the technology and you can make that happen,” Scinteie says, noting that there are two markets for the technology: new equipment and retrofitting modern, in-use machines. He says Kontron is involved in research initiatives related to smart agriculture and retrofitting equipment with autonomous capabilities. What’s exciting about this next level of connected systems for agriculture is the safety, productivity, improved yields and potential to tap new markets that agricultural professionals can realize. And, Scinteie points out, the technology to accomplish these goals is already here.